Pilar de la Horadada is a town in the Province of Alicante, in the southeast of Spain. It is in close proximity to the busy town of Torrevieja. Pilar de la Horadada is placed between the sea and the mountains and has a typically Mediterranean climate. The history of Pilar de la Horadada dates back to the Roman settlers, although there is evidence to testify that this area was occupied by the Iberians. In Pilar de la Horadada Arab presence is demonstrated both by the archaeological remains, such as the large number of place names that currently exist. Pilar de la Horadada has been the site of many battles because of its location at the historical frontier Pilar de la Horadada is a town in the Province of Alicante, in the southeast of Spain. It is in close between two kingdoms: the Kingdom of Murcia (Castilla) and the Kingdom of Valencia. Pilar de la Horadada was a town with dryland farms and few houses known as Campo de la Horadada. After several centuries of agricultural economy, its tourism breakthrough came with its independence from the Orihuela municipal district in 1986. The name of Pilar de la Horadada is due to the construction of many watchtowers due to it suffering several pirate attacks, which served to sight maritime approaches. One of these towers, the "Torre Horadada", was so called because of the holes that connected the different floors of the building by a rudimentary system of communication between the sentinels, from which the term pillar became la Horadada. The town itself is a mixture of old and modern. At its heart is the Plaza de la Iglesia, where the church, town hall and tourist office are all situated. In the town Plaza is the Parish Church of Nuestra Señora del Pilar, built in 1986 on the same site as its predecessor. The bell tower of the original structure stands to this day. Also in the Plaza is the Town Hall. 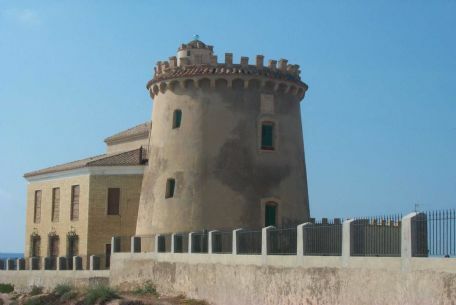 The Watch Tower was built in the15th century to protect the inhabitants of the town against the Mediterranean pirates. It is situated on the beach, in the nearby village of Torre de la Horadada. The blue flag beaches of Pilar de la Horadada are spread along five kilometres. Pilar de la Horadada is a lively Spanish resort that has attracted a large number of expats from across Europe. See below to view a selection of our bargain properties in Pilar de la Horadada.